A storm of reactions by Nigerians has greeted Davido‘s concert at the 02 Arena in London, United Kingdom. 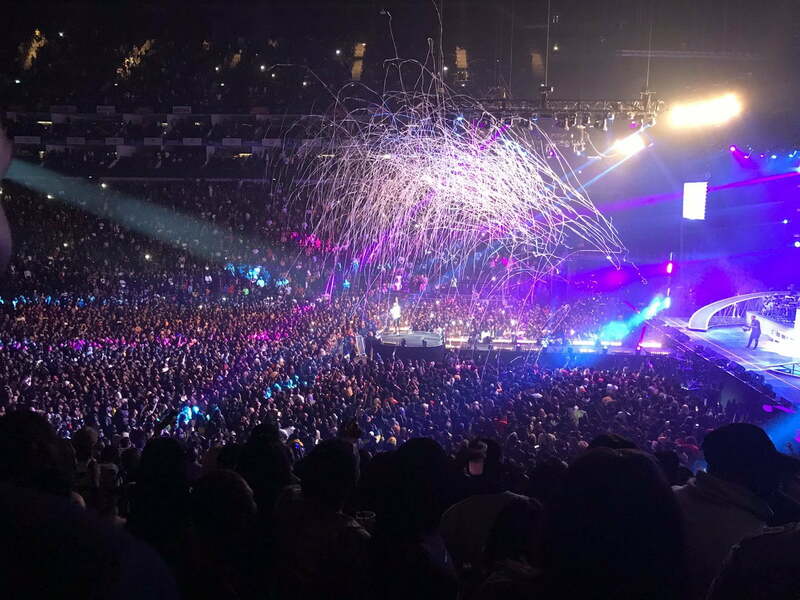 Davido‘s concert at the 02 Arena which is coming after Wizkid sold out the same venue in June 2018, started with sets from various DJs including Tim Westwood, DJ Ecool, DJ Bibi, and DJ So Good. This online news medium reports that Victor AD, who just released a new song titled “Tire You” and featuring Davido, also performed. After a brief delay, Idris Elba, an English actor, producer, musician and DJ, who was a special guest at the show, took to stage to introduce Davido, who came in and kicked off the night with one of his hit songs, “Aye”. While some Nigerians praised Davido for the concert, others countered him, saying the show was not sold out as claimed by him.